The story of a fire captain who lost eight men in the collapse of the World Trade Center and the editor who helps him prepare the eulogies he must deliver. Oscar: My wallet was stolen. Diane: What do you mean, 'sort of'? Oscar: She was very pleasant about it. 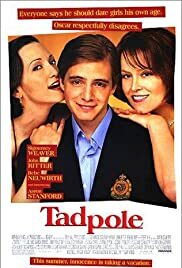 With subject matter that many might consider offensive (fifteen year-old boy in love with his step-mother and seduced by older woman), TADPOLE manages to be a charming, witty light comedy with a sensitive look at a controversial theme--a coming-of-age story with heart. 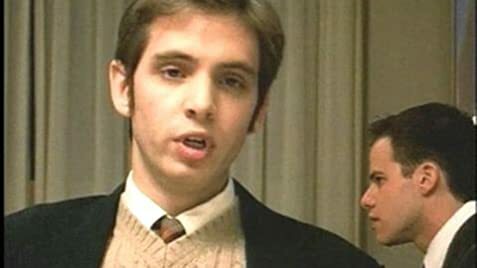 And its hero, a sophisticated fifteen year-old played by a twenty-five year-old actor (AARON STANFORD), is a natural in the title role, completely convincing as the impressionable youth living with his step-mother (SIGOURNEY WEAVER) and father (JOHN RITTER) in a fancy New York City apartment. Ritter plays the busy working father in one of his rare serious roles and is excellent, as is Weaver as the woman who discovers that her son has been having an affair with her best friend (BEBE NEUWIRTH). Neuwirth makes the most of her sly comic scenes as a temptress who awakens hormones in the teen-ager. A restaurant scene with the boy and his parents is a highlight of the story, where her deceptive conduct is exposed by Ritter's observation of an indiscretion in a mirrored image. Witty and humorous, never taking itself seriously, it's an amiable tale told with deft touches and it moves briskly under Gary Winick's nimble direction with some nice glimpses of Manhattan's upper east side.